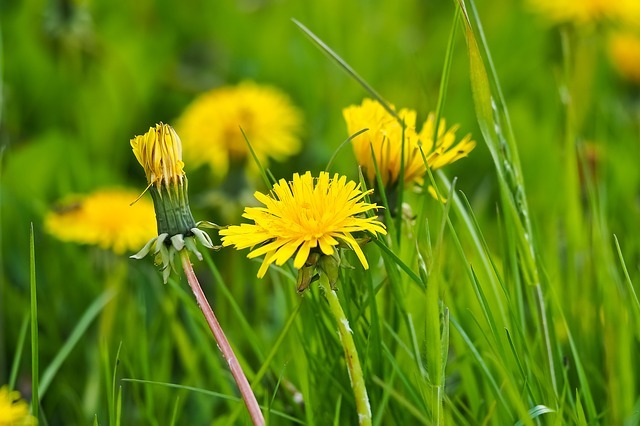 A bright yellow dandelion bloomed in a grassy meadow with hundreds of other dandelions. It was very unhappy, spending most of the day comparing itself to other flowers. “Lilies and lilacs have a beautiful scent, but we don’t have any fragrance at all,” it complained. The dandelion’s discontent was contagious. Its complaints were so loud and so constant, soon all the dandelions in the meadow wanted to be something other than a dandelion. “I’m going to be a peony,” said one and puffed up as big as it could, but no matter how hard it tried, its petals didn’t turn pink. It still looked like a dandelion. 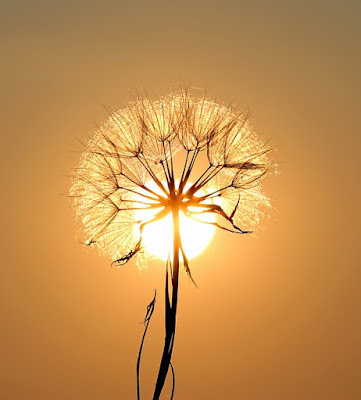 Soon, instead of blooming and turning their blossoms into feathery puffs of seeds for the wind to carry, the dandelions stopped doing their dandelion jobs. One by one, all the gold spots in the meadow disappeared until the meadow was solid green. Not one yellow flower, not one white puff of seeds showed in the meadow. Words rapidly spread among the dandelions and a few felt better. Flowers appeared here and there. The next day a few seed puffs opened to feed the finches. On a sunny afternoon, a family spread a blanket in the meadow and opened a picnic basket filled with sandwiches and cookies. A little girl ran through the meadow. Soon she started to cry. “What’s the matter, honey?” her mother asked. 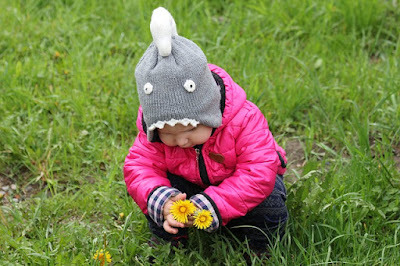 The dandelions had forgotten how many times little hands picked their blooms as gifts for mothers. No fancy florist’s bouquet was ever treasured as much as a few dandelions. By the time the family had eaten, enough blooms popped up for the little girl to pick some flowers for her mother. Later that day, two friends walked in the meadow. “Let’s find a dandelion puff and make a wish,” one said. 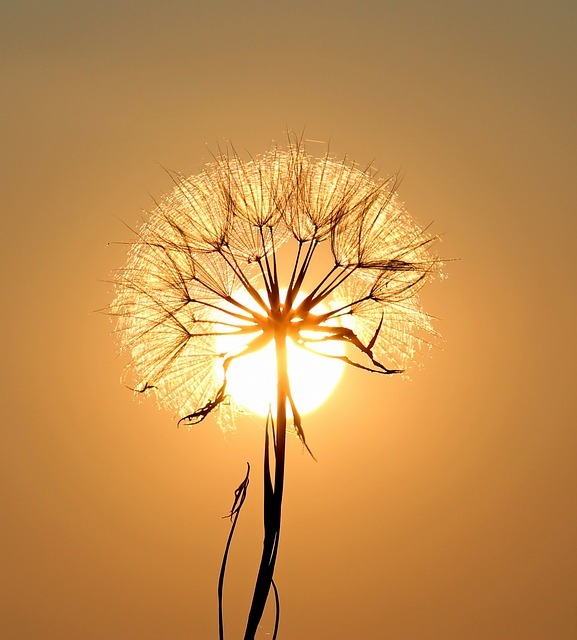 The dandelions recalled that children and sometimes adults made wishes on their pretty puffs of seeds by blowing the seeds into the air. 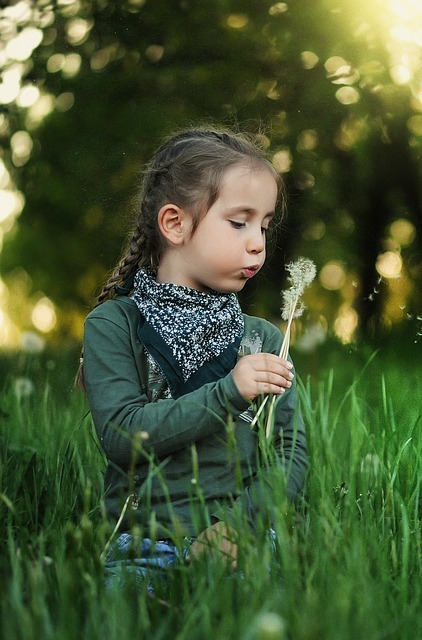 Wishing on a dandelion always brought smiles, but today, there were no seed puffs to be found. The dandelions began to think they might have acted rashly. Lilacs, though fragrant, bloomed a week or two and were gone until the next year. Roses didn’t bloom in the spring. Most flowers had a brief season. They didn’t. Bees depended on them and so did birds. Children loved to pick them and make wishes on their delicate puffs of seeds. They had an important job to do as dandelions. The dandelions decided to be themselves happily blooming, making seeds and sprinkling the meadow with gold, just like they always had. A sharp trowel dug the dandelion up. Like the story? 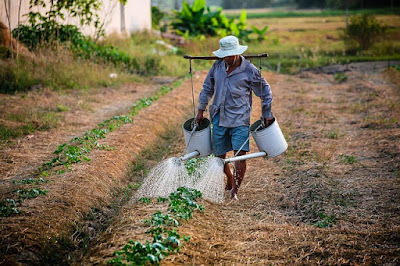 Please 'like' it, make a comment and share it with your Facebook friends. Published May 28, 2017, Journal Tribune Sunday (Biddeford. ME). The King immediately sent a messenger with a bag of gold to buy whatever melons he could. 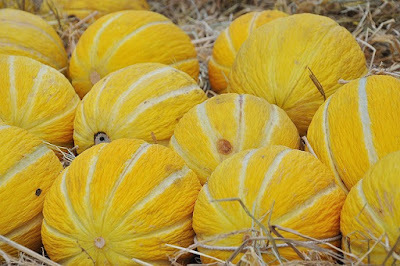 A few people sold theirs to the King, which was to be expected, but when their neighbors talked about the flavor of the melons from that extraordinary crop for so many years that it became legend, they wondered if they hadn’t missed something very special. Thank you for reading the story. Please 'like' and share with your friends on Facebook. Published May 21, 2017, Journal Tribune Sunday (Biddeford, ME). 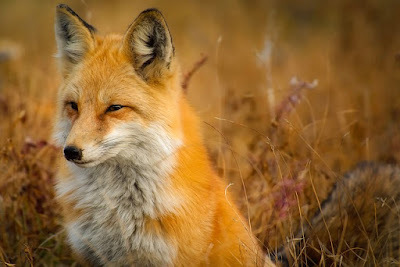 Mother Fox lived in a den at the edge of a meadow with her four kits. They were handsome, with glossy red fur and white-tipped tails. Mother Fox taught them every clever fox trick she knew: walking in a stream of water, so predators couldn’t track them and doubling back on their own tracks to confuse predators. As the kits grew, they frolicked in the meadow, playing games. Hide and seek was a favorite. Tag was fun, too. Sometimes they played hunting games and tried to find a mole or mouse. At night, they slept cuddled next to Mother Fox in the warm den. One day when the foxes and their mother roamed the woods, they saw two kits hiding in a briar patch. Their fur was rumpled and they looked skinny. 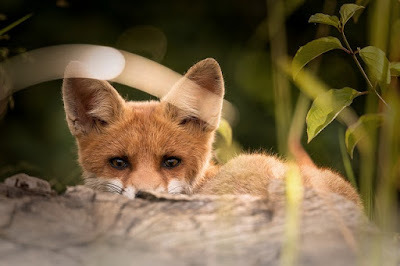 They hid when Mother Fox called them. “Mom,” growled her oldest, and she cuffed him lightly. After dinner, Mother Fox gave each of the kits a bath, licking each kit’s fur until it was shiny. The new kits took longer because they hadn’t been cleaned in days. “Mommy, you spent more time with them than me!” said her youngest. “They needed more time today,” said Mother Fox. Her youngest ran to a mud puddle and jumped in. “Now I need more time.” Mother Fox shook her head and cleaned him off for the second time. Getting settled to go to sleep that night took forever. None of Mother Fox’s kits wanted the new kits to sleep close to their mother. Pushing and shoving, they finally tired themselves out and fell asleep. That night, Mother Fox gathered the kits around her so each one had a perfect cuddle spot. She stretched out as far as her long body would go with her tail straight out and the six kits lined up along her body with her tail and legs hugging all of them. “Do you think we could count all the rocks in the stream?” she asked. “What! That would take a long time,” said her oldest. The kits thought about it. When Mother Fox divided a few sandwiches picnickers left behind, they each had a smaller portion because there were six of them, but maybe love wasn’t like that. If it were, it would soon be gone! “And mommies have a lot of love to give,” said her youngest. Like the story? Please comment and 'like' on Facebook! Published May 14, 2017 in Journal Tribune Sunday (Biddeford, ME). “Wow, a bracelet!” Melissa’s eyes glowed. 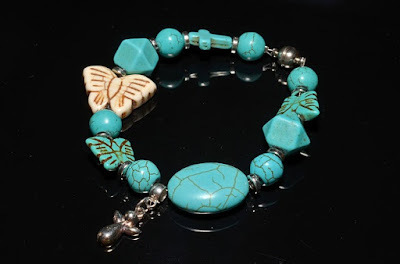 She pulled a circle of turquoise beads from the small box and stretched it over her wrist. It fit perfectly. Of all the birthday presents she received, she liked the bracelet from Grandma and Grandpa best. The beads were the same color as the eggs shells she found in spring at the bottom of trees, after baby robins hatched. The same color as the ocean water in Key West when her family vacationed there. It was her favorite color and she was happy Grandma and Grandpa knew that. The next day Melissa found a four-leaf clover on the school playground. She picked it and ran to show her teacher, Mr. Wilkins. He showed her how to press it in a book, so she could save it. “People think that because they’re rare,” said Mr. Wilkins. “I think I found it because my bracelet is magic,” said Melissa. “I think you found it because you noticed it looked different from the others,” said Mr. Wilkins. “Oh my,” said Cary’s mother. She looked around to see if anyone was chasing after it, but no one was. “I found the dollar, because I have a magic bracelet,” said Melissa. More magic happened the next day at school. Though the class was supposed to have a math test, Mr. Wilkins was absent and hadn’t left the tests for the substitute. In gym, they got to play volleyball and Melissa’s team won. Lunch was pizza. Magic was everywhere! “But the cafeteria lady could have changed her mind and served Tuna Noodle Awful,” said Melissa. Every time Melissa mentioned her bracelet was magic, somebody pointed out there was no such thing. Dad explained that the bracelet gave her confidence, and that’s why she got an ‘A’ on her science test. When she made cookies and they came from the oven soft and delicious—as they had never before— Mom said the magic was that cooking took practice and Melissa was getting better at it. Her bracelet had nothing to do with it. “What do you think?” asked Grandma. “A pretty bracelet always helps make magic,” Grandma said. “It’s a little like Superman’s cape.” Grandma pointed to the pretty turquoise bracelet she was wearing and winked. Like the story? Please leave a comment and 'like' on the Facebook page. Published May 7, 2017 in Journal Tribune Sunday (Biddeford, ME).